You MUST SIGN UP for college visits in your Naviance Student account. See Ms. Wona in the Career Center if you need assistance with signing up. 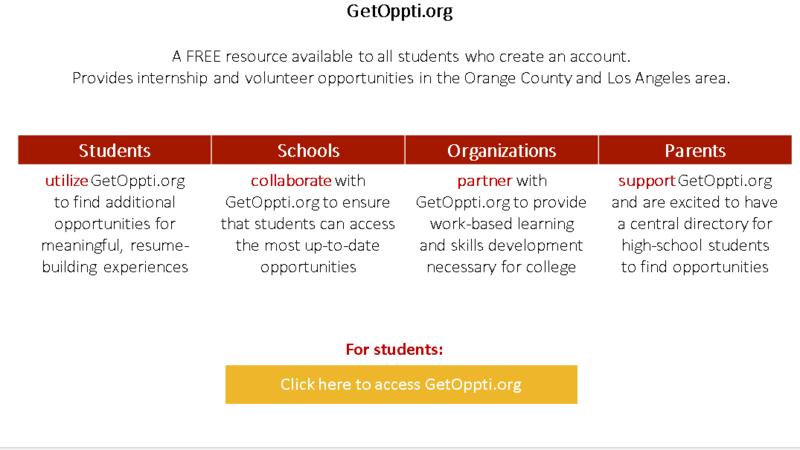 Common App has done for college applications! You will be able to access Arcadia High School's local scholarships and many more on one website. SIGN UPGood luck with your scholarship applications! Auto Filled Applications - All of the information from your student profile is auto-filled into each application, saving you time. GOINGMERRY.COM: Build your scholarship application profile, get matched and apply to numerous scholarships through one free site. SALLIEMAE.COM: A fast, easy, and FREE way to search for more than 3 million college scholarships. FASTWEB.COM: Be sure to sign up for this FREE scholarship search service! ANYCOLLEGE.COM: A free service for students, sign up at www.anycollege.com. Scholarships are drawn twice per year. SCHOLARSHIPGUIDANCE.COM: Considered the largest and most comprehensive source for finding scholarships online and is free. COLLEGE-SCHOLARSHIPS.COM: Links to more than 50 free online scholarship search sites. VARSITYTUTORS.COM/COLLEGE-SCHOLARSHIP: Monthly $1,000 college scholarship contest where students write an essay in response to a monthly prompt. Click on the video link below to see the new and exciting features in Naviance Student.